Kanwar Mela: Normally comes in july august. Will start from first day of Sawan Month of Hindu calendar. Festival is about people coming to holy river ganga to collect water. Festival is celebrated in Haridwar and Rishikesh only not much popular in other areas. Mostly people will come by walk to Haridwar Rishikesh and also return by walk after collecting holy water. They will carry the water on shoulder with help of stick/ tie water bottle to their bodies. Later on shivratri day they will offer this water to lord shiva temples. Very large festival and big traffic jam is very common in festival time. Next Kanwar Mela is from 10th july to 21 july 2017. Basant Panchmi: Normally Basant Panchmi is harvest festival popular in Punjab but in Rishikesh at Bharat Mandir Temple it is special day because they perform holy bath of the main idol of the temple in Maya Kund. Hundreds of locals come to attend the ritual. Normally it comes in jan feb-march. It comes on fifth day of Magh month of Hindu Calendar. Next Basant Panchmi is on 22 Jan 2018. Ganga Dushehra: Tenth day of the jaistha month is known as Ganga Dushehra. It is the day when Ganga came to earth from Brahma’s Kamandal. It is consider very holy time to take bath in Ganga. There will be large number of people come to take bath in Ganga in Rishikesh Haridwar and near by area. International Yoga Festival: Yoga Festival is not like open public festival but more like event organized Parmarth Niketan Ashram. Approx 1500 attended the festival last year. Event is 7 days event where yoga teachers from all around world comes to teach yoga. Charges for the participation is approx 500 USD onward for yoga, stay and meals. It is organized every year from March 1-7. Rishikesh has large percentage of Hindu people in total population so all major Hindu Festivals are celebrated here. Holi: Also known as festivals of colors. Similar to most northern states of India this festival is widely celebrated in India. Two days festival people put colors on each other. It is celebrated everywhere in Rishikesh and almost everyone joins the festival even if they are not Hindu. Since last few years there is small open party organized at Lakshman Jhula where people dance together on bollywood music and put colors on each other. It is open for everyone and no charges for entry. Next holi is on 2nd March. Diwali: Diwali is biggest festival celebrated in india. In rishikesh also it is celebrated widely. Mostly you will see people giving sweets to each other and greeting. At the evening there will be fire crackers. Almost every house/shop will be decorated by candles or led lights. Next Diwali is on 19th Oct.
Apart from above festivals are Navratri, Dushehra. Every full moon day is considered auspicious time so you will see many people prefer that time to take bath in Ganga. 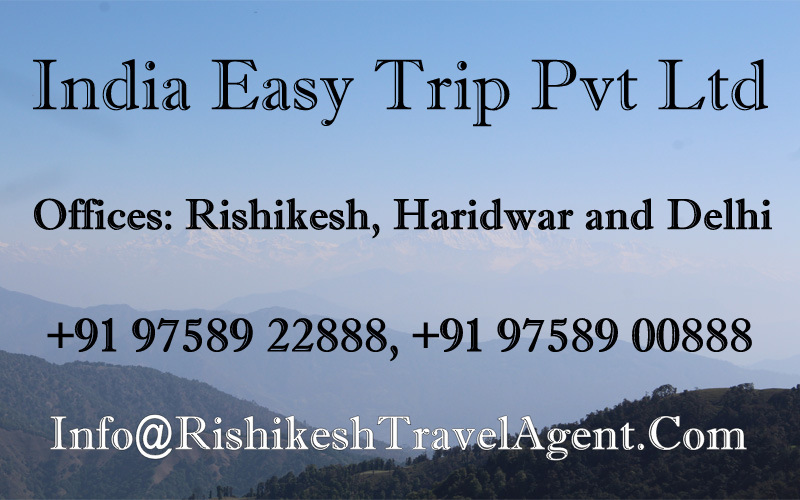 Kumbh Mela is mainly celebrated in Haridwar but Rishikesh also get lot of visitors during that time. However that festival comes after 12 years and next Kumbh Mela is in 2021.